President of COCO (Chengdu) Dental Lab Inc.
Mr. He is the leader and President of COCO (<?xml:namespace prefix = st1 ns = "urn:schemas-microsoft-com:office:smarttags" />Chengdu) Dental Lab. He was graduated from West China College of Stomatology (WCCS), Sichuan University, China. With over 20-year’s experience of bench work, teaching and training, Mr. He is an expert on Fixed and Removable dental prosthesis and he co-founded the Dental Technology Center and Dental Prosthesis college of WCCS Sichuan University. Since 1998 he has been served as the executive vice-director of the center. Mr. He is also a major editor of "Textbook of Dental Prosthesis" and "Handbook for Modern Dental Technician". 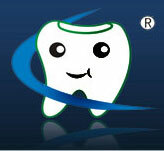 To learn modern dental technology, Mr. He has been in Japan and Germany several times to visit and study. In 2002, he was appointed as a one-year recommending scholar of Japan ILO to several famous Japanese dental labs. He also obtained an MBA certification of North Virginia University from Economic Management College, Southwest Jiatong University of China. Vice President of COCO (Chengdu) Dental Lab Inc.
Mr. Lai is the Vice President of COCO (Chengdu) Dental Lab Inc. With the major of Dental Prosthesis, Mr.Lai was graduated from the West China College of Stomatology and went to Japan for further study in 2001. He was served as the Secretary-General and Standing Committee of professional dental prosthesis Committee in China Stomatological Association from 2003 to 2007; and presented Vice-Director in the dental prosthesis department of West China College of Stomatology (WCCS), Sichuan University from May 1999 to the April of 2004. He also owned a national invention patent and published more than 10 academic papers on Dental Prosthesis. What’s more, he took part in the write of "Dental Prosthesis ", "Dental Technology practice paper", "Manual of Modern Dental Technicians" and "Oral Technicians". On behalf of Chinese Dental Prosthesis scholars, he was invited to South Korea, Japan and other countries to participate in the 12th and 13th Asia-Pacific regional Dental Prosthesis conference for academic and technical exchange. Honor Technical Advisor of COCO (Chengdu) Dental Lab Inc.
Joanna is an U.S. Certified Dental Technician (CDT) served as the Honor Technical Advisor of the company. She obtained an A.S. Degree of Dental Laboratory Technology at Pasadena City College in USA. With over 15 years of bench job, teaching and management, Joanna has held multiple positions at various dental laboratories in the United States, Canada and China. She served as a trainer at the Educational Department and the supervisor/quality control manager at the Combination Crown & Attachments Department of Glidewell Dental Laboratories in USA. Joanna also co- founded Dentex Dental College, the first Chinese dental lab technology school in USA, and as its chief instructor. As the Honor Technical Advisor Joanna is now providing important technical support and updating our team with the world’s latest front-edge dental information.